Arizona’s Top Nail Salon in Tempe For Custom Nails. Chances are you stumbled across our website looking for a different experience in a nail salon. Let me guess, you are tired of of walking into to any cookie cutter corner salon to be serviced by inexperienced nail techs who you cannot communicate with the kind of service you are expecting. The good news is you just found the nail salon you have been looking for. 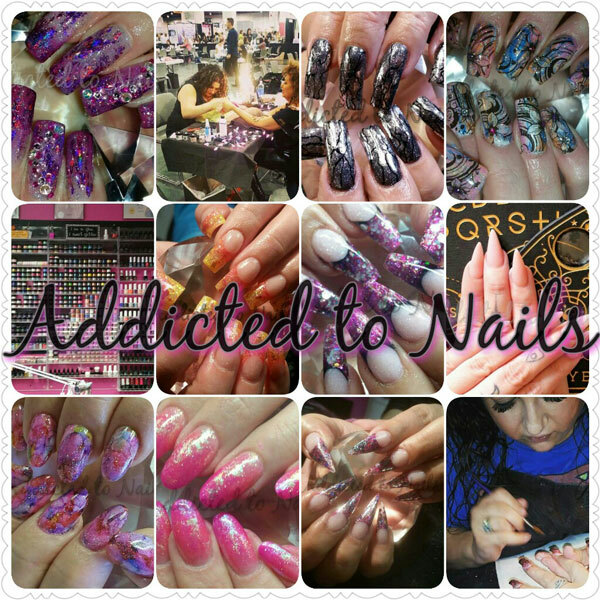 Addicted to Nails is located in a private salon studio inside Total Image Beauty Mall in Tempe, Arizona. We are licensed by the Arizona State Board of Cosmetology and We ONLY use professional products, hospital grade sanitation, single use files as well as lined pedicure baths. You will never find unlabeled jars and bottles at this salon. With over 20 years of experience we take pride in not only our craftsmanship, but also our track record of a dedicated clientele. We must be doing something right. At Addicted to Nails, we take the time to consult with you individually. It is important that we understand your wants and preferences; and create a look that fits your style. We are certified and specialize in both acrylics and soft/hard gel applications, as we offer a variety of services to accommodate our clients needs. Our motto is “Nail Artistry from Mild to Wild” and with over 300 colors (gel polishes, gel paints, nail polishes, glitters, etc) your nails can be enhanced in just about in any color imaginable. It doesn’t matter if you a prefer shorter natural looking gel polish service or if you have are a die hard nail addict and want your nails to be the talk of the town. We promise to make your nails never to go unnoticed. Your ideas are our inspiration for beautiful nails each at every appointment. Gel polish is great for natural nail wearers or enhancements. Wear a single color, ombre multiple colors or add glitter or designs. We even have gel polishes that are temperature changing. Gel Polish is chip resistant, adds a little strength and lasts 2-3 weeks. Our name says it all, Addicted to Nails and with that comes a love for nail art. From glitter, foil designs, stamping, and fire paper just to name a few tricks we have up our sleeve. In Arizona, we live in flip flops and sandals and want our toes looking their best. Rockstar toes are always a client favorite as we embed glitter in gel to add strength and sparkle for for 6-8 weeks. Acrylic and gel enhancements are a great way to lengthen your nails, doesn’t matter if you prefer to wear them long or short. Almond, square or stilettos, we offer most shapes to flatter your fingers. Hard gel enhancements is the perfect alternative for clients who at are looking for a more natural shape and looking to add a shorter extension or overlay over their natural nail. Glitter is always a fun way to dress up for nails, and we literally have 100s of colors, sizes and shapes of glitter to choose from. One of the things we are most known for is our custom glitter mixes, under acrylic or over gel polish, it always sparkles and shines.